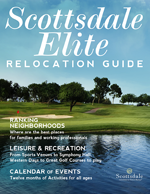 The search for the ideal Arizona luxury real estate property or Scottsdale gated community is now elevated to a whole new level. Whether you are across town or cross-continent, you can access all the services of Arizona Buyers Agents electronically from your location anywhere in the world. What does this mean? You can purchase a luxury gated home in Scottsdale without ever having to step out the door. The entire search process, buying procedures, communication and transactions can all be performed online. Some call it “high tech, high touch.” We call it concierge service that prioritizes connectivity, communication, and personalized service that together make a difference in your home buying experience. Because Arizona Buyers Agents is dedicated to meeting the needs and protecting the interests of buyers, exclusively. Giving you the advantage with anytime, anywhere access is one more reason the Scottsdale luxury real estate brokerage is the preferred choice of both out-of-state and local residents seeking both gated and non-gated residences.